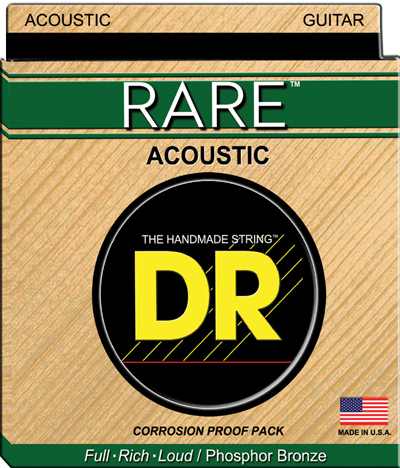 Acoustic Guitar players who want a fatter, louder sound, with a deeper bottom will appreciate the DR Rare phosphor tone, sound, and feel. This is my first time ordering from Strings by Mail and I must say it was a great transaction. Fast shipping, direct follow-up and all products were as advertised. I do plan on consulting my service rep for string advice as that is a great service I am anxious to check out. I most certainly would recommend Strings by Mail and look forward to doing business again with them.